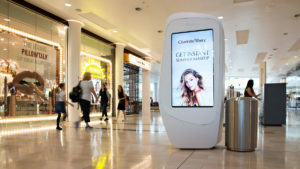 Charlotte Tilbury Beauty has launched a dynamic, digital out-of-home (OOH) campaign featuring user-generated content and a weather-triggered activation to launch its new #GLOWMO collection. Devised by OOH and location marketing specialist Posterscope and media agency Cream UK, and delivered through the Liveposter platform, the campaign comprises two creative executions highlighting the performance of the #GLOWMO products, one triggered by weather conditions (high temperatures, low temperatures and rain), and the other featuring a real-time stream of beauty shots from people showing off their use of the Charlotte Tilbury make-up range. 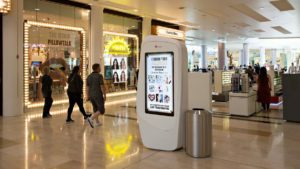 The campaign is appearing nationally on a wide range of digital out-of-home screens including Ocean’s large digital formats, LCDs and mall digital six screens on weekends throughout July.